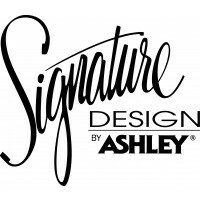 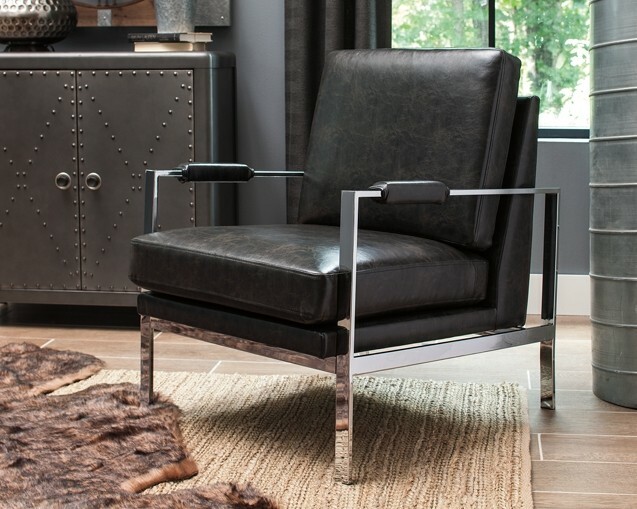 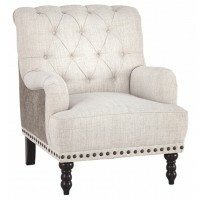 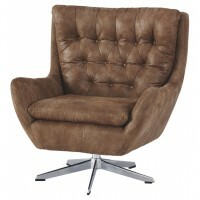 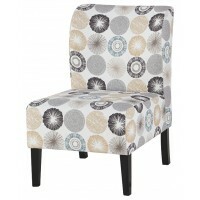 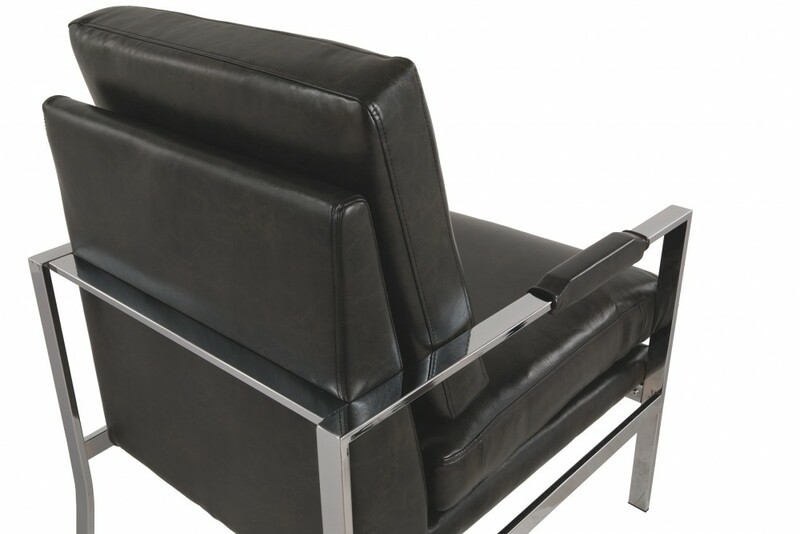 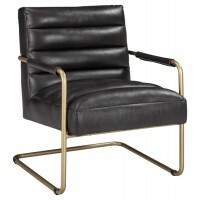 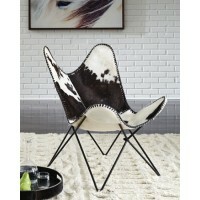 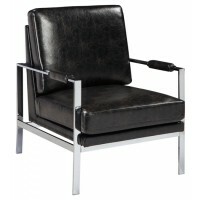 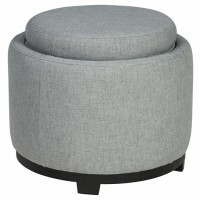 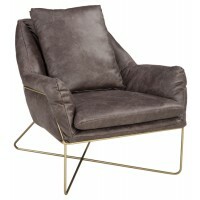 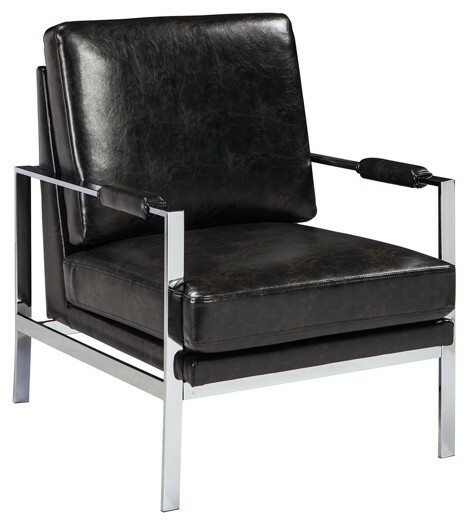 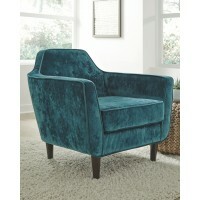 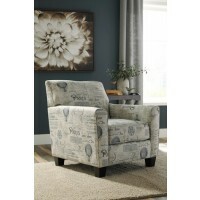 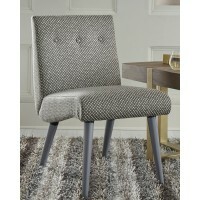 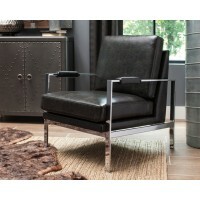 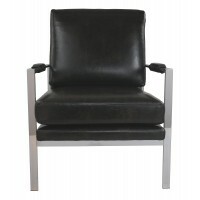 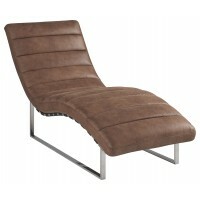 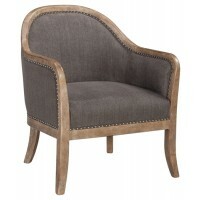 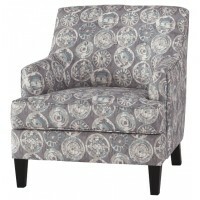 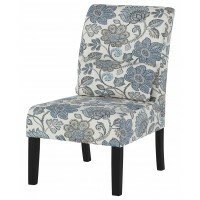 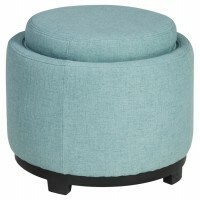 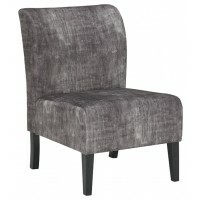 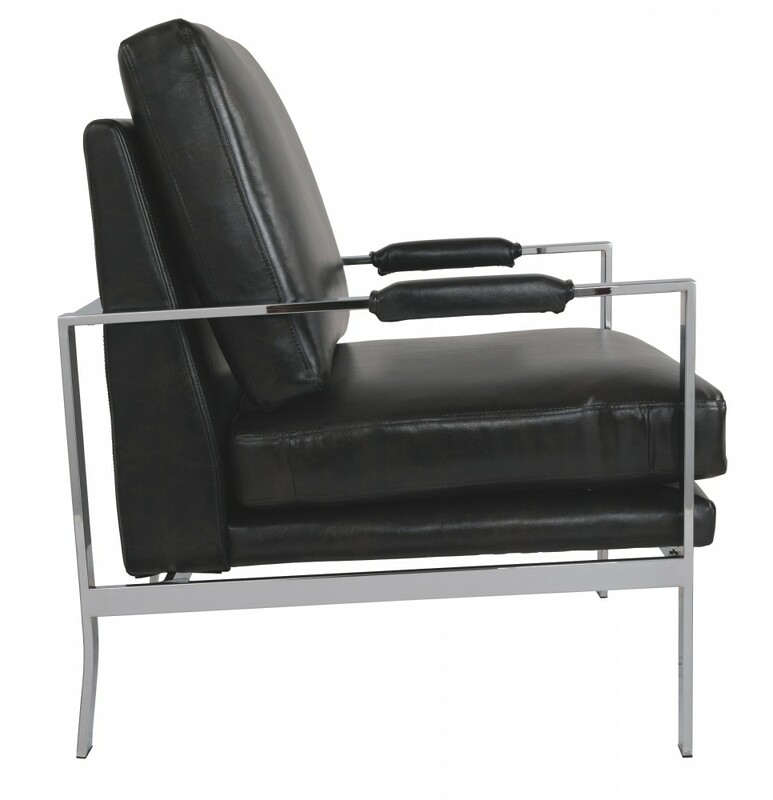 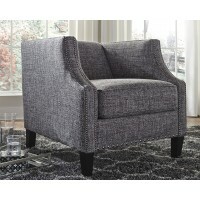 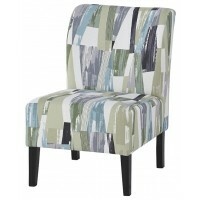 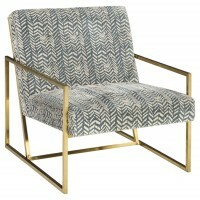 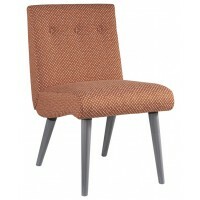 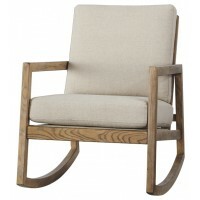 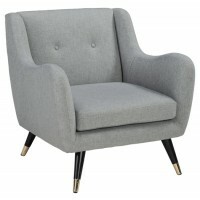 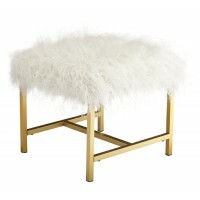 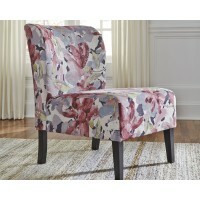 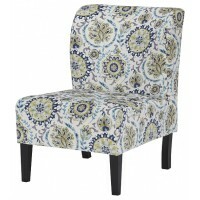 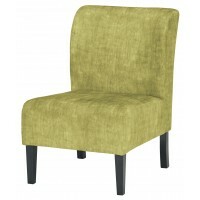 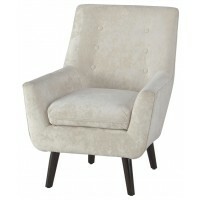 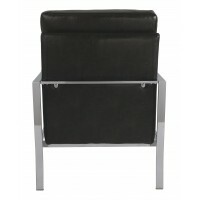 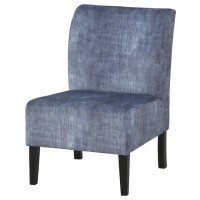 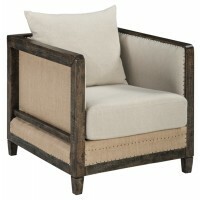 Work an ultra-cool look with this dramatic accent chair. 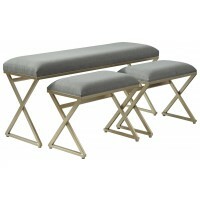 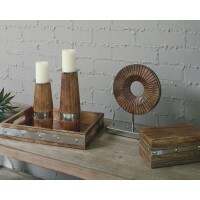 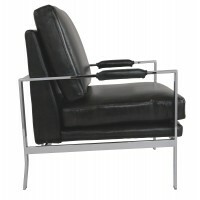 Linear metal frame in a chrome-tone finish lets your love of contemporary style shine. 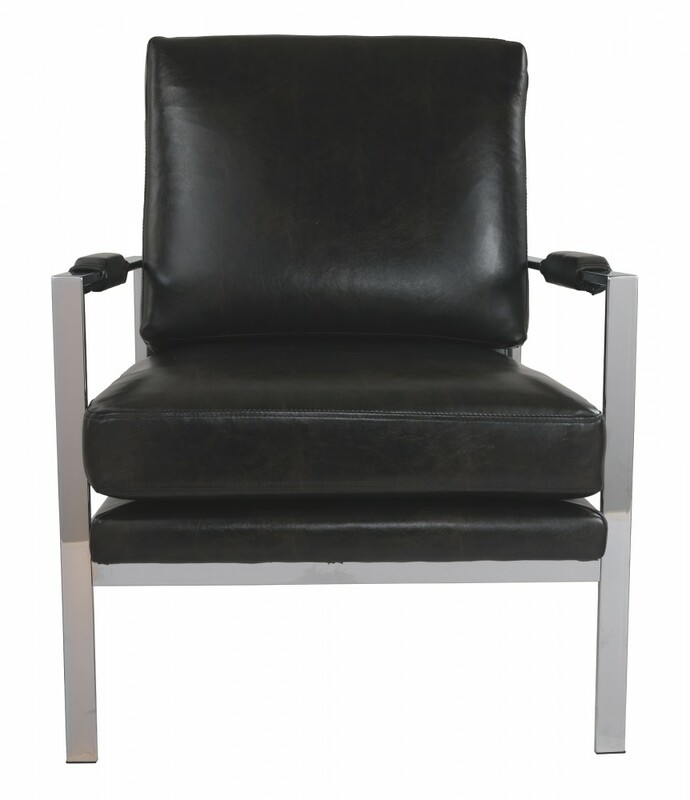 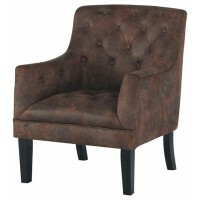 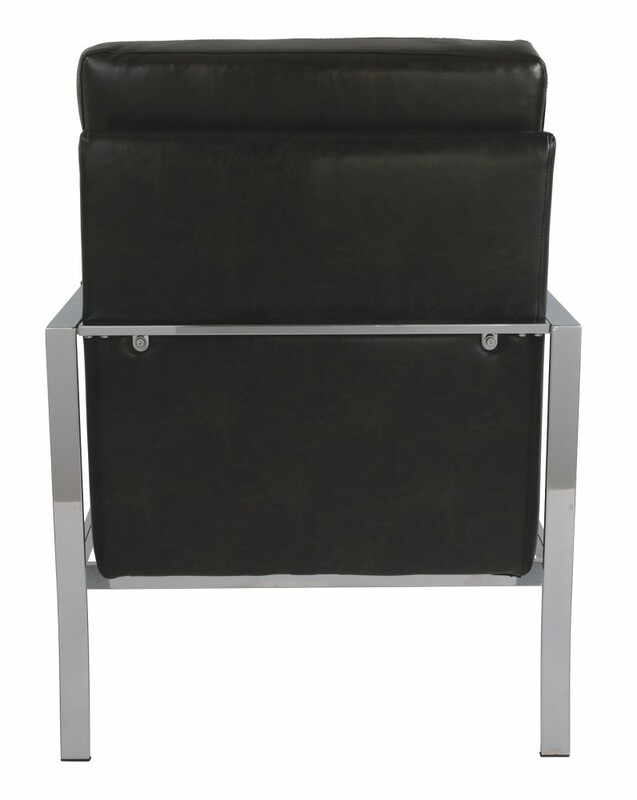 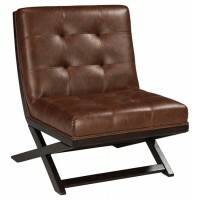 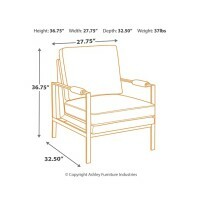 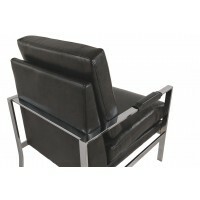 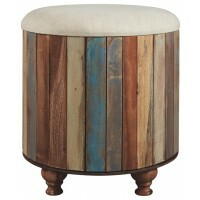 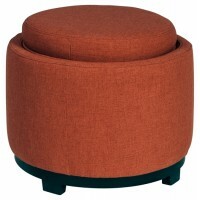 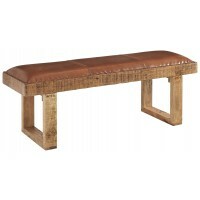 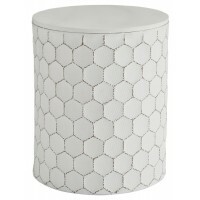 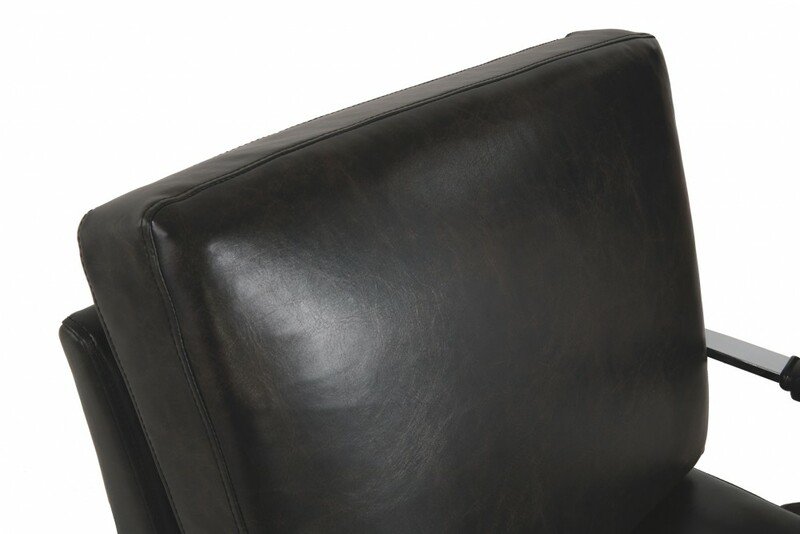 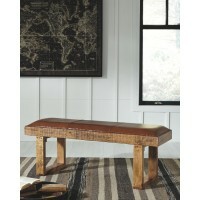 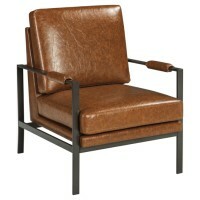 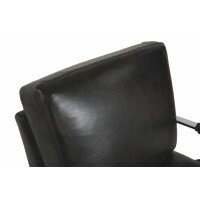 Thickly padded seats are covered in a fabulous “weathered” faux leather that looks like the real thing. 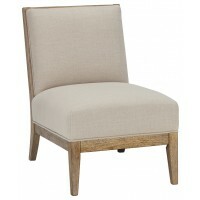 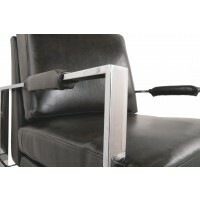 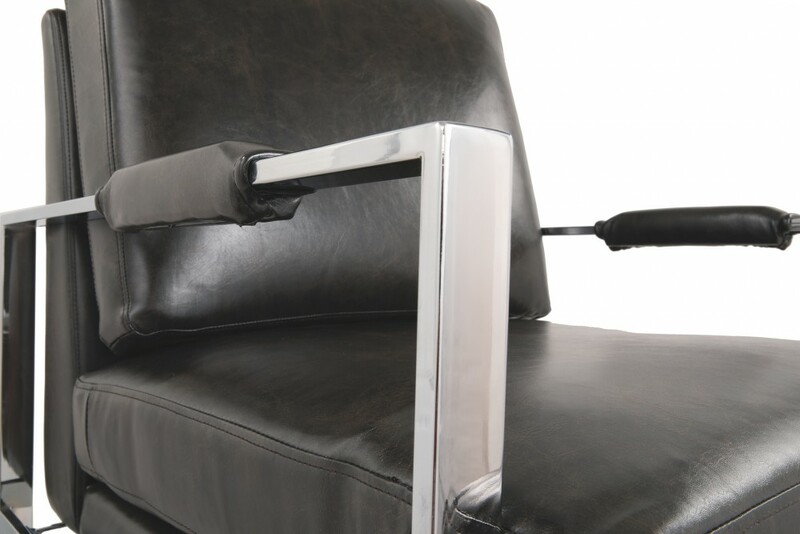 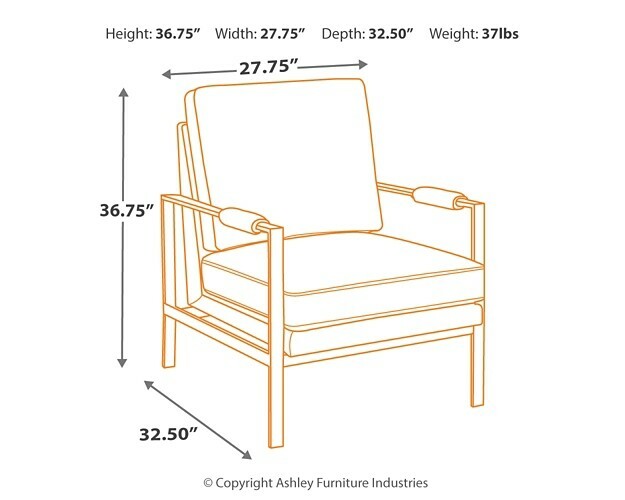 Upholstery wrapped armrests area feel-good touch.